Bryan Cranston, star of AMC’s Breaking Bad, appeared in San Diego at the Comic-Con on Sunday undetected while dressed as his drug lord character. 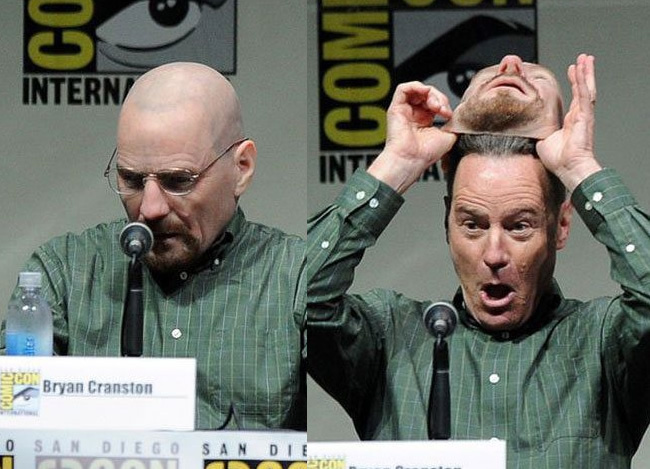 He revealed his true identity only after walking to the front of a Breaking Bad panel and dramatically removing his mask. What a legend – amazing “life-like” mask.